With its many curves, elevation changes, and natural beauty, the Italian countryside is a perfect place to own a vintage car. While many dream of the legendary cars to roam these roads, when Donatello Maniscalco was ten years old, his car of dreams was a Porsche 911. Years later that dream was realized when he purchased a 1968 Porsche 911t. Instead of keeping his collection of cars and his 911 in a garage, Donatello observes the rich history of Italian motoring and regularly participates in rallies and drives. Donatello can regularly be found whipping his car around the beautiful country hillsides of Italy. One might not expect a small Wisconsin town in the middle of the state to make much of a distinction on a map, but Spring Green bucks this trend. First, Frank Lloyd Wright built the local and well-known landmark, Taliesin, and second, Ringbrothers set up shop. 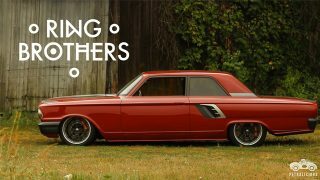 Brothers Mike and Jim Ring have been building cars together since 1994 and have been making a name for themselves ever since. These brothers grew up with gasoline in their veins and have been responsible for creating some of the most talked-about custom muscle cars of the past few years. 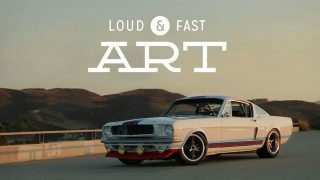 We took a look at where they started, found out what it's like to work together as brothers, and went for a ride with their '65 Mustang "Producer" and '64 Fairlane "Afterburner". 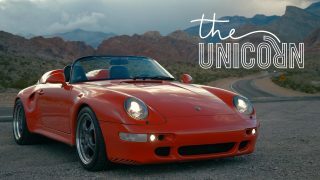 One of the best Petrolicious videos to date, I love it. Great subject, great personality, great location, and a superb 911. Another week and another fantastic video. Loved the content and the music, they merged very smooth. Please keep up the good work guys, it’s truly inspirational! Brilliant video and background music. Love the original car. Again and Again you guys keep producing great videos. Love the video and music from the car and background. Bravo! Petrolicious is GREAT. Thanks to everyone on this site for giving us all these pictures…the Goodwood Revival set was nothing short of awesome, and I would add that none of the big classic-cars mags (that cost us a few quid each issue) ever showed us pictures so inspiring as those we saw here. You want to show your ‘purist’ soul? Please, go ahead and make your own site. I’m involved in classic cars since 1977 and I find this site very, very special. All the best from Italy! 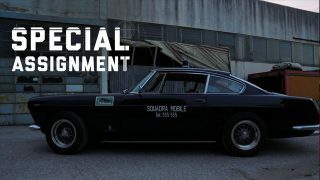 Some of the very best videos that Petrolicious produces are from Italy. The people, the roadways, the trees, and then the cars! 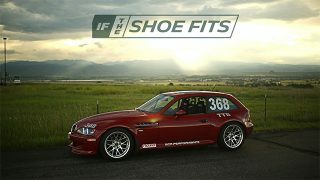 I have to agree with Jim.Petrolicious……don’t change a thing. Love the originality of the car and how the driver is really having to Drive! Here is an ad for NOT putting after market seats and a race steering wheel in a car. It just looks like fun. Yes, it’s its free, and I love it, and love the videos. I only suggest another angle to it. Someone having a passion for his car and the story behind it is always well told (and beautifully) on Petrolicious. Like Donato Maniscalco and his carismatic Porsche ! I agree with Lawrence to a degree, but I disagree that the videos should change. Petrolicious does sometimes feel like an Abercromie & Fitch Catalog, but thats ok, I dont come here to talk to other gearheads, there are other blogs for that. Sometimes its ok to be all eyecandy and no substance. 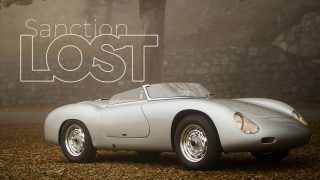 If anything, Petrolicious could consider starting another seperate video series. 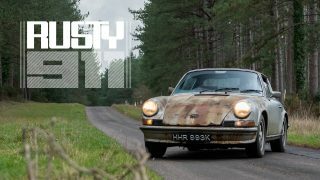 I’ve never driven or ridden in an early air-cooled 911 but from this video and a few others like it I think I know what it’ll feel like. They’re such unique and special cars. I totally agree with Lawrence P.
I wanna see a guy with dirty hands and no knowledge about what a café is ! This vid inspired me to get out of my office chair drive home at lunch and get the vintage 911 out of the garage and drive it back to the office. Pretolicious, mission accomplished. Vincent, you just summarized what our inspiration to start Petrolicious in the first place was all about. If you want tutorials, how-to’s, and DIY videos and articles, there’s a place called the Internet…mostly community message boards and forums. Petrolicious is about capturing the joy of driving cars with character, which seems to have been lost in the modern day of super-mass produced appliances and overwrought marketing and left in the pages of history. The saying goes, hindsight is 20/20, and everyone’s now beginning to appreciate the originality of classic automobiles. 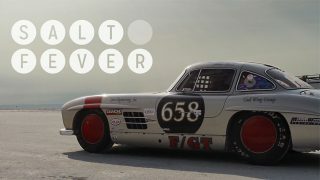 Nobody does this better except Petrolicious…and Top Gear but you can’t compare (small time vs. big time). Totally. There are literally THOUSANDS of sites, forums and blogs devoted to “technical articles, ‘how to’ posts” and “articles about tires, tools [and] mechanicals.” Petrolicious is something distinctly different and completely unique. It’s purposefully UNLIKE other automotive sites on the interwebs and for that reason it’s become my hands-down, go-to auto enthusiast digital destination. 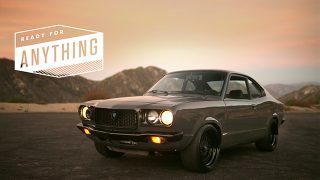 Petrolicious is all about the art of owning and driving a car with character. You don’t need to have a technical bone in your body to own and love a car of this kind… you just need taste to appreciate it. Lawrence, I agree that the technical details are important. Our videos are unscripted, and we look for passionate owners who have a connections with the car. Many sites (including wikipedia) already do a great job of providing the technical details, so we didn’t see the need to duplicate that.